But on Saturday, Delta said it is suspending its Atlanta-Brussels service. 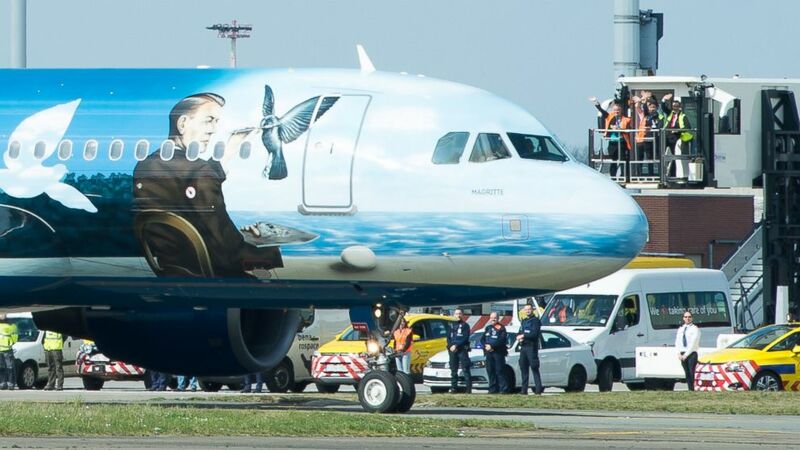 camera (Benoit Doppagne/Pool Photo via AP) Airport workers wave as a Brussels Airlines plane taxis towards the runway at Brussels Airport, in Zaventem, Belgium, April 3, 2016. 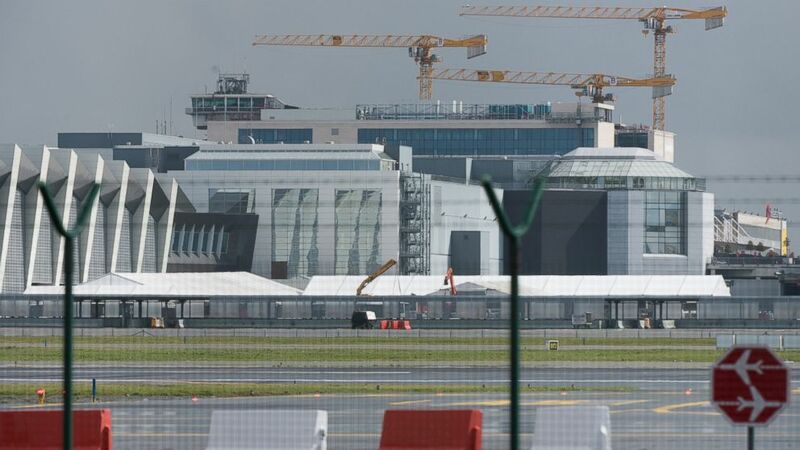 The Brussels Airport partially reopened Sunday, with the first passenger flight taking off around 1:40 p.m. local time, 12 days after a deadly terrorist attack rocked one of the airport's departure halls. Date of restart has been set: #brusselsairport will partially resume passenger flights as of Sunday 3 April. The limited passenger service began with three Brussels Airlines flights. Brussels Airport CEO Arnaud Feist said the flights -- to Athens, Turin in Italy and Faro in Portugal -- are chiefly symbolic. The flight to Faro was the first flight to depart Sunday. Effective Monday, Belgium's biggest airport should be back at around 20 percent of capacity and able to process 800 passengers an hour, Feist added. (BENOIT DOPPAGNE/AFP/Getty Images) A picture taken on March 29, 2016 shows tents at Zaventem Airport in Brussels, where authorities are running a series of tests to see if makeshift check-in facilities are good enough to restart some flights and that repair work and new security measures are adequate after the deadly March 22 attacks. Despite the partial reopening, Delta Airlines said Saturday it was suspending service between its Atlanta hub and Brussels until March 2017 "due to the continued uncertainty surrounding the airport's re-opening and weakening demand." It said it still plans to resume service between New York's John F. Kennedy airport and Brussels "once the airport provides clearance for international operations." The coordinated bombings at the airport and a subway station in the center of Brussels on March 22 killed at least 35 people, including three Americans. The main suspect believed to have helped execute the bombings at the airport remains on the run. After being immediately placed on the highest alert level following the attacks, Belgium's security level has since been downgraded. Paul Van Tieghem, director of the office that evaluates threats to the nation, said after the attacks that there was no indication another attack was imminent but the threat was still serious and possible.